Football (or association football) is a highly-collaborative team sport. Passing the ball to the right player is essential for winning a football game. Anticipating the receiver of a pass can help football players build better collaborations and help coaches make informed tactical decisions. 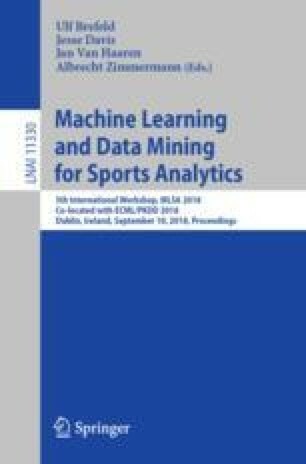 In this work, we analyze a public dataset that contains 12,124 passes performed by professional football players. We extract five dimensions of features from the dataset and build a learning to rank model to predict the receiver of a pass. Our model’s first, top-3 and top-5 guesses find the correct receiver of a pass with an accuracy of 50%, 84%, and 94%, respectively, when we exclude false passes, which outperforms three baseline models that we use to rank the candidate receivers of a pass. The features that capture the positions of the candidate receivers play the most important roles in explaining the receiver of a pass.